Four Midwest League players, including three Lansing Lugnuts, recently earned monthly honors for April. Lansing Lugnuts (Blue Jays) first baseman Bradley Jones led the Midwest League in home runs (six), RBI (23) and total bases (58), while finishing second in average (.372), hits (32), slugging (.674) and OPS (1.089). He recorded 10 multi-hit games and separate hit streaks of seven and eight games in April. Jones, 21, was selected by Toronto in the 18th round of the 2016 First-Year Player Draft out of the College of Charleston. Through Sunday’s game, Jones is batting .343 with six home runs in 27 games this season. His 24 RBI are tied for most in the Midwest League. Baseball America recently announced its all-prospect team for April. 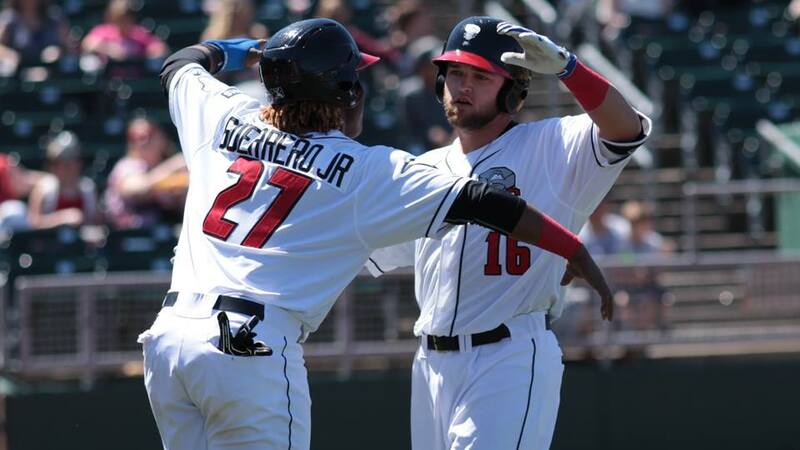 Three Midwest Leaguers made the cut: Lugnuts third baseman Vladimir Guerrero Jr., Lugnuts shortstop Bo Bichette and Kane County Cougars outfielder Marcus Wilson. The second-youngest player to open the season on an Opening Day roster, the 18-year-old Guerrero also is one of the most promising. He has had no trouble acclimating to full-season ball after ranking as the No. 1 prospect in the rookie-level Appalachian League a year ago. Guerrero has nearly as many extra-base hits (nine) as strikeouts (11) in April. Bichette leads the Midwest League with a .368 batting average, and his 22 runs scored are only two less than league leader Zack Short of the South Bend Cubs. He has three homers, 11 doubles, 13 walks and 18 RBI in 22 games this season. Minor League Baseball announced Monday that its teams attracted over 6 million fans through the end of April for a 5.3 percent increase compared to April of last year, despite 28 more rainouts this April (102) than last April (74). The 11 full-season leagues and 136 clubs that began play in April averaged 3,986 fans a game. By comparison, in 2008, when Minor League Baseball set its all-time record for yearly attendance (43.2 million), MiLB averaged 3,850 fans per game in April. Not surprisingly, the Dayton Dragons led the Midwest League in average attendance in April. The team drew an average of 7,624 fans to each game, with the largest crowd (8,141) on Sunday, April 30. The Dragons have an active streak of home-game sellouts (1,187) that is the longest in professional sports history. This entry was posted in Appalachian League, Dayton Dragons, Kane County Cougars, Lansing Lugnuts, Midwest League, South Bend Silver Hawks. Bookmark the permalink.